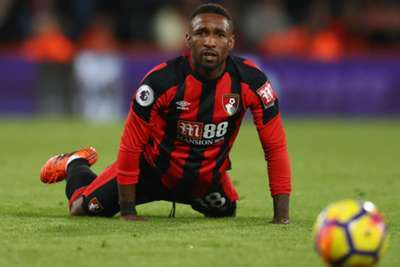 Bournemouth manager Eddie Howe believes Jermain Defoe has plenty to offer England and can still force his way into Gareth Southgate's World Cup squad. The 35-year-old was left out of the recent friendlies against Germany and Brazil as Tammy Abraham and Dominic Solanke won their first international caps. Defoe has struggled since joining the Cherries from Sunderland, netting only once in 10 league appearances this term. But Howe is confident Defoe – who has 57 caps – will rediscover the kind of form which saw him score 15 goals in each of the last two Premier League campaigns. "I think Jermain has started the season well for us. People will judge on goals but I think there's a lot more to a centre-forward's performance than just the actual stat," the Bournemouth boss said ahead of his side's match against Huddersfield Town. "We need to get to know how to get the best out of Jermain in terms of our players getting used to the runs he makes, where he wants the ball. "I believe he can make the World Cup squad. I think he can have an impact at the World Cup for sure. Obviously, it will be defined by how well he does for us between now and then." "There's a really good feeling about the team after the Newcastle game." While Gareth Southgate made a clear push to inject more youth in his latest squad, Howe insists the experienced Defoe can still make a difference. "I think you need a mix of players to take to the World Cup," he said. "I'm not trying to tell Gareth anything, he will make his own decisions, but I think everyone will recognise that you need leadership and experience and from Jermain's perspective someone who can change a game, come on and nick a goal, and who better than him? "I think Jermain will be in his [Southgate's] thinking, no doubt about that."